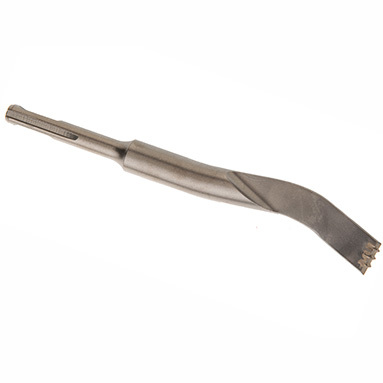 A cranked shaft chisel which is purpose-designed to not "dive in" to mortar lines, but effectively chisel away stubborn mortar. The cranked shaft allows for access behind down-pipes and close up to door and window frames for a neat finish without damage. Overall length: 185mm. Blade width: 6mm.